Fracturing truck Manifolds-Fracturing unit Manifolds are the most important equipment in the oilfield during fracturing operation, they are usually surrounded by the fracturing units truck and located at the center of the ground for fracturing job. Our Fracturing truck Manifolds-Fracturing unit Manifolds are designed and manufactured in accordance with API 6A&API 16C standards. 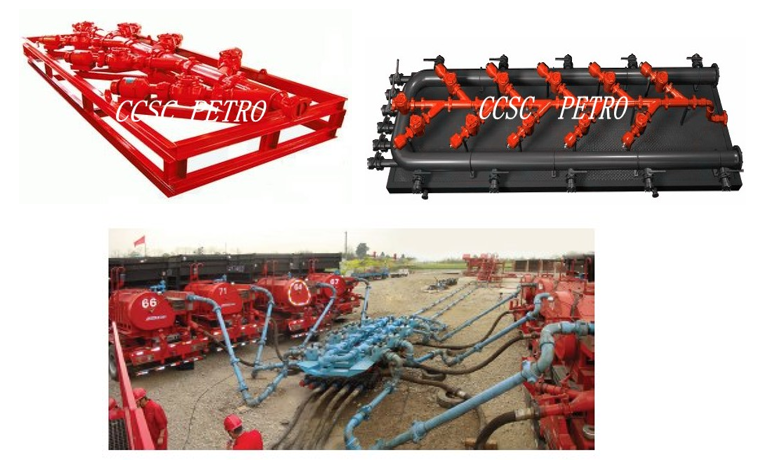 CCSC technology Fracturing truck Manifolds-Fracturing unit Manifolds customizable structure and have many sizes and pressure ratings used for oilfield applications.